Renting an apartment in New York is no easy task. Going at it alone often means running into numerous dead ends and uninviting spaces you’d never realistically consider. But if you have the proper guidance, finding a great rental apartment that you love is not nearly as difficult as your stress levels would indicate. We’ve found that the best way to find an apartment in New York is with the assistance of an experienced real estate agent. The reality is that the market moves very quickly, and because so many of the city’s most desirable apartments are controlled by agents, if you’re serious about finding something that you’ll be happy to come home to, we suggest enlisting the help a real estate agent on your search. Please click here to have a real estate agent contact you to schedule an appointment to view apartments. Do not get hung up on listings that you see on this website (or any other website or newspaper). The odds of you renting the specific apartment you inquired about on-line are very close to zero. Treat the listings on this site as a starting point and use the extensive building information to become more familiar with the market. Unfortunately, listings are not updated as frequently as they should be. We have little control over this but it is a fact of the market. We hope that in time this situation will improve, though today the best way to obtain accurate listing information is to have your broker pre-screen listings. Bring all paper work and money required including: employment and income verifications, pay-stubs, tax returns, stock portfolios, and at least one month's rent in form of a check. When filling out the application, make sure you keep in mind all the specific requirements that the landlord was looking for: your income, employment, living preferences, etc. Try to convince the landlord that you are the right tenant for him/her. Generally, you will need to leave a deposit equal to one month's rent which is fully refundable in case you get rejected. Once you apply you are bound to the apartment you are applying for, unless you get rejected. When paying a deposit get a receipt that specifically states that your money will be refunded if rejected. It usually takes anywhere from an hour to a week to hear back from a landlord. If accepted, try to sign the lease as soon as possible. Make sure you understand what kind of a lease you are signing. There are many different types: standard, self-extending, short-term, rent stabilized, etc. 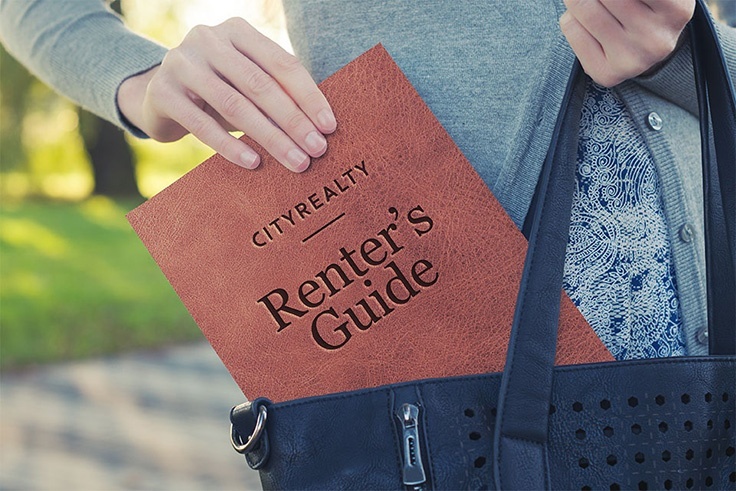 Read the entire lease and make sure you understand key elements such as: rent amount, term of lease, escalations, utilities, maintenance, pets, garbage, etc. Make sure the landlord also signs the lease and that you receive a copy. Look for and read all lease addendums and any other additional forms that may come with the lease. If you have any questions- ask. If you still feel unsatisfied have a lawyer look at it. Expect to pay anywhere from 2-4 month's rent in advance, part of which will go to a security deposit. The initial deposit that is attached to the application is usually equal to one month's rent. At the lease signing you must pay the remainder. This typically consists of the last month's rent and the broker's commission. In almost all cases the landlord will ask you to pay a security deposit. This is refundable at the end of your lease term plus interest accrued. Security deposit money cannot be used as rent at any during the course of the lease. Make sure you get receipts and specific explanations of what your money is for and where it is going to be kept. Broker loyalty (i.e. only working with a single broker) is an important factor in finding a great apartment. Most brokers work incredibly hard to find you that perfect apartment. They are motivated to do this in the hopes that if they are successful, a transaction will be consummated at which time they will be compensated for their efforts. If you give a broker reasons to suspect that a transaction is not going to occur (i.e. if you are working with other brokers or are not serious about buying an apartment), he/she naturally will be less inclined to invest the time required to find your dream apartment. As a result, you will be putting yourself at a competitive disadvantage versus other apartment renters as your broker will not be as motivated as those brokers whose buyers are committed to both them and to renting an apartment. The best thing you can do is to work exclusively with a single broker and make sure they understand that you are committed to working with them. Of course, the goal here is for you to find the perfect apartment, so if you are not comfortable with the broker you are working with or otherwise question his or her ability to find what you are looking for, you should let us know so that we can discuss this with the broker and, if necessary, find a more appropriate broker for you. Quite simply, it is very difficult to find the ideal apartment without a real estate agent / broker. The Manhattan market is large and complex and moves very quickly; trying to navigate it on your own is a formidable challenge. Brokers live and breath the market - most people rent an apartment every few years, while brokers are renting every day. Thus, the experience and knowledge they bring is invaluable and impossible to get elsewhere. As useful as we like to think the content in our website is, it is meant to be used in conjunction with the expertise of an experienced real estate broker. 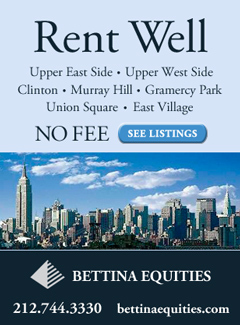 In addition, in New York, many of the best apartments are rented exclusively through brokers. This means that in order to rent such apartments, you must use a broker. As we work with the largest rental agency in the city, you are sure to have access to the largest possible number of listings. In most cases, when renting an apartment in Manhattan through a broker, you will have to pay a commission to the broker. Though the fee varies depending on circumstances, it is usually between 12% - 17% of the annual rent of the apartment. For obvious reasons, this is probably the single most important factor. The price of an apartment depends on a variety of factors - size, location, condition and features, among others - so it is critical that you determine your budget at the outset. As a general guideline, studios typically cost $1,800 to $2,500 per month; one bedrooms are from $2,250 to $3,750 per month; two bedrooms are from $3,500 to $6,500 per month and three bedrooms range from $4,500 to $10,000 per month. Manhattan has dozens of neighborhoods, each with its own flavor and personality. A number of factors can effect where you live: you might want to be close to work or your children's schools; maybe being close to a park is important; perhaps being close to great restaurants and cafes is key. The good news is that New York offers something for everyone - if you are not that familiar with the city, please review our neighborhood guide. Do you need a one or two bedroom apartment? A large living area? A maid's room or a home office? Are great views important? While determining which features are important, always keep in mind that there is a price for each one and therefore prioritize them based on how much you are willing to pay for each. You will need to show an income of at least 40-50 times the monthly rent. You must have a social security number. If you do not have a social security number or are not in the process of applying for one you must have a guarantor co-signing your lease. All information has to be referenced in form of a letter or sometimes a phone call. For business owners tax returns will be required. You can get a co-signer or guarantor (See useful terms and definitions section.) to co-sign the lease for you. Or some owners will allow you to prepay 6 months to 12 months rent up front. These are documents specifying additional terms and conditions of the rental agreement and are typically attached to the lease. They are just as important and valid as the lease agreement and in some cases can be quiet extensive. Landlords use them to specify all types of requirements and living arrangements they want their tenants to follow, i.e. no pets, no water beds and no roommates allowed, $50 fee for lock outs, $30 fee for bounces check, every Wednesday garbage must be placed in front of the building, etc. There is no standard addendums. An area adjoining the living room space which can be used for dining area or be separated or closed off to make a bedroom. An apartment with a large alcove off the living room which can be converted to another bedroom, or which can be used as a dining area. A "CONVERTIBLE TWO BEDROOM"/ "FLEX TWO" is a one-bedroom apartment with a large alcove and two bathrooms. A legal proceeding by a landlord to recover possession of property. This term refers to an individual (in rare cases it could be a corporation) who is willing to take on all of the financial responsibilities associated with renting an apartment. The guarantor usually is an individual who is employed within the United States (in some cases in New York State) and earns an income in excess of 60-80 times the annual rent of the apartment. An apartment with a small alcove off the living room that can be converted to a small bedroom or used as a dining area. A "JUNIOR 4" would be a potential 4-room apartment: Living room, bedroom, kitchen and alcove area (bathroom is not counted as a room). It usually includes 1.5 bath. Just as the name indicates it is the most standard lease, which is usually signed for a period of 12 months. There are no special clauses or conditions in this document. In some cases landlords may write in specifications as to which utilities are included in rent or if any parking is also included. This lease is more extensive than other types. It specifically explains the legal status of the apartment / building, stating how long the rent control will last, under what conditions and what will be the consequences if those conditions were broken. Cooperative ownership, in which a corporation owns the building and the tenants own shares of stock in the corporation together with a lease for their specific apartment, is especially prevalent in Manhattan. Co-op buildings are governed by boards of directors, who generally institute rules concerning the subleasing of the apartments. A sublease will usually be for a specific time period (often only one to three years) with no right to renew. However, some buildings are less strict. Prospective subtenants are required to provide financial and social information about themselves to the board. They are then interviewed by a committee of board members. After review, the board votes to approve or reject the sublease. An approved co-op subtenant is required to abide by all rules and regulations of the building. There is usually a "sublease fee" for subleasing in co-op buildings. The rate varies from building to building. In condominium ownership the real estate is actually owned by the tenant. Leasing a unit in a condo is done directly with the apartment owner. Thus, the rules governing such leases are less strict than in co-op buildings. A condo's board of managers may require a prospective tenant to provide some financial and social information and often requires an interview. Approval is generally easier to obtain in a condo than in a co-op. There may also be fees levied by the condo association on prospective tenants. A person to whom property is rented under a lease, otherwise known as a tenant. One who rents property to another under a lease, otherwise known as a landlord. A basic application form that lets the landlord collect information about the applicant. There is no confusing or intricate legal language involved. The only responsibility that the applicant bares is that he is binding him / herself to the apartment and will be responsible for its entire financial and other obligation stated in the lease if accepted. There are different applications, however the relevant information is practically the same. Some landlords (many luxury apartments in particular) have their own application. On ownership of realty by 2 or more persons, each of whom has an undivided interest, without the right of share of the decedent is inherited by the party or parties designated in the decedent's will. Be prepared to rent the apartment on the spot. 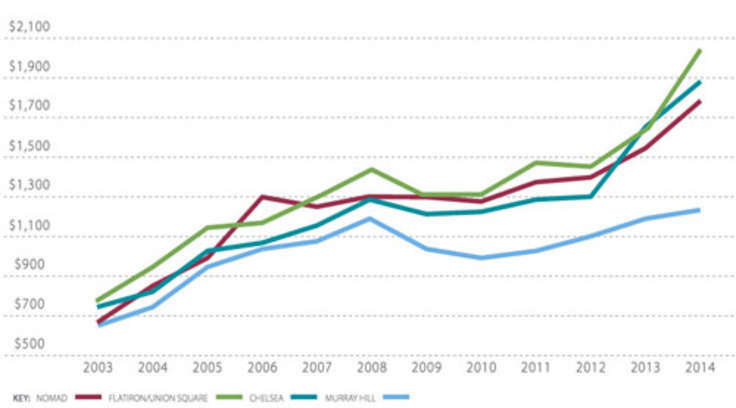 In the current market, rental apartments rarely stay available for more than a couple of days. If you are not prepared to rent the apartment, do not bother visiting it. Bring the following: letter(s) from previous landlord; pay stubs; bank statements; and a check book. Be prepared to put down a deposit of one month's rent. Check the neighborhood around the building. Look for hospitals, fire or police stations - they are noisy and will cause you to lose sleep. Check the space, layout, and quality of the apartment. Make sure you feel comfortable. You should begin to look for an apartment approximately 30 - 45 days before you intend to move. It does not make sense for you to begin looking before this as none of the apartments you see will be available when you want to move.